The Duloc dancers (Amanda Visger, Hannah Shickles, Kiersten Glynn, Genna Myhre, Victoria Streuly, Ashley Lahaie, Sadie Erb, Alexis Kammerer, and Abigail Mills) are the greeters for Duloc. 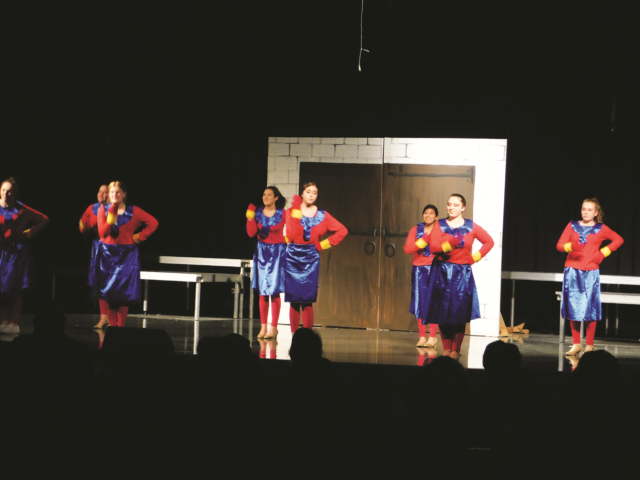 Brodhead High School presented their rendition of Shrek this past weekend. The cast put on 17 musical numbers spanning over a two-hour time span. DreamWorks Theatricals and Neal Street Productions originally produced the show on Broadway.